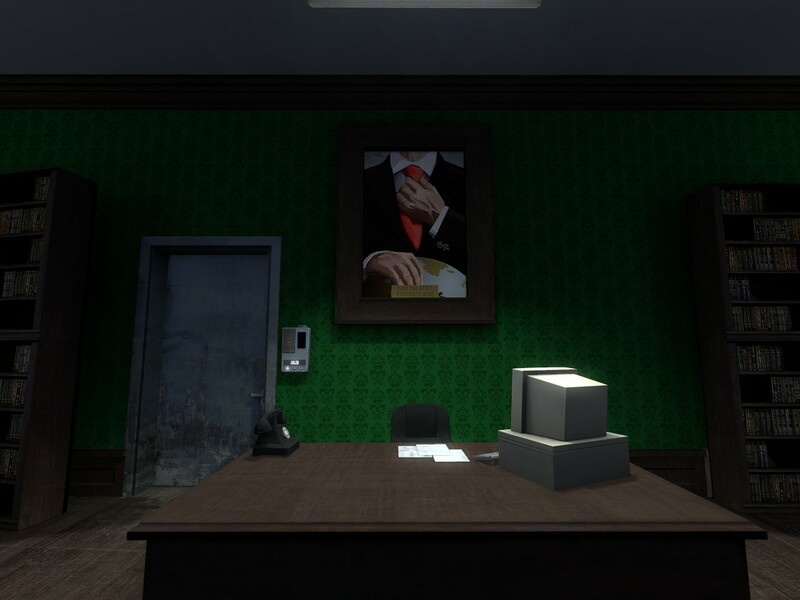 The Stanley Parable is the cleverest video game I’ve played all year. It’s genuinely thought-provoking, a rare thing in this medium. It’s genuinely funny too, which is even rarer. While I was playing it, I didn’t want it to ever end. Sometimes it felt like it wouldn’t. I like The Stanley Parable and you should too. I will keep spoilers to a minimum in this review, but know that the best possible experience is had by playing the game with no expectations at all. Stop reading, download and play the excellent demo, then just impulse buy the game and play it obsessively and feverishly for the rest of the day. For those more savvy consumers who don’t just throw money at their screen whenever they’re told, read on and I will try to persuade you without giving away too much. 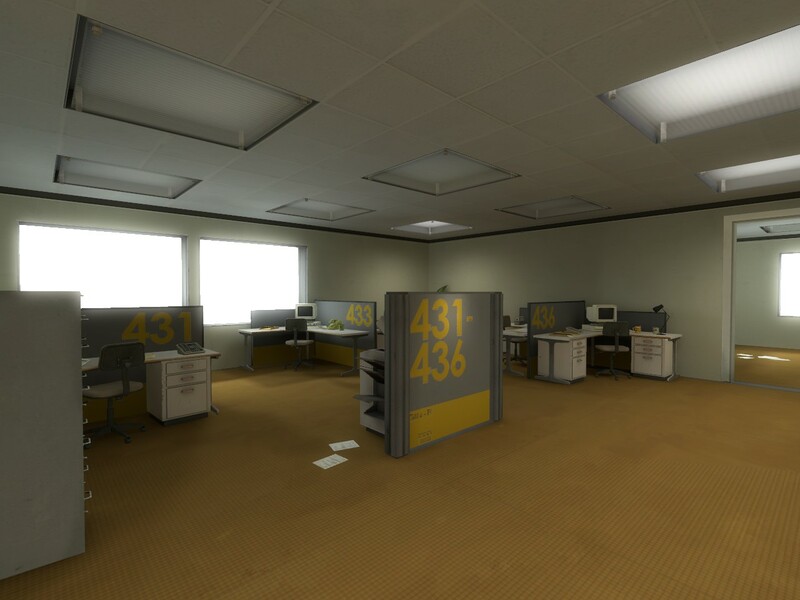 The Stanley Parable is, essentially, a choose-your-own-adventure book, played out in first-person. You play a man named Stanley, who works a monotonous, Orwellian office job in a vast corporate building. One day, everyone in the building but him disappears, and it’s up to you to find out what’s happened. As you go, you are presented with choices, and every time you make a choice, the story branches. Eventually you reach the conclusion of your current branch, and you start again to try different choices and different branches. Like those old adventure books, what it’s really about is finding and experiencing different endings – unlike most games, in order to see everything The Stanley Parable has to offer, you’ll need to replay it from the beginning many times, trying new courses of action each time. On your journey you are accompanied by a seemingly omnipresent narrator, who makes a running commentary on your actions. In the absence of any other speaking characters, he provides the reaction to the choices you make. What makes The Stanley Parable so brilliant is that every single one of the choices you make is actually between playing the game properly and trying to break it. The narrator doesn’t just talk about what you’ve done, he tells you what you’re supposed to do next, and the divergence points come from actively defying him, and in doing so breaking away from the ‘real’ narrative. The first choice in the game is simply whether to walk through a door on your left or a door on your right – but the narrator has already said that you’re going to walk through the door on your left. If you don’t, he becomes flustered and confused, trying to bend the story to fit your unwillingness to go along with it – and it just gets weirder from there. Every act of defiance leads to its own strange, unique path, the game unravelling in a different way each time. It’s very meta, and each ending is meta in its own distinct way, often providing explanations for what’s going on that directly contradict other endings – but the more of them you play, the more they stack on each other, weaving together into a larger commentary. The thing that holds it all together is the narrator. As different branches are pursued, he takes on different personalities, appropriate to the different divergent narratives. Sometimes he’s an antagonist, mocking and deriding; other times he’s your ally, trying to help you get where you need to go; sometimes he’s just as lost and confused as you are, struggling to make things right. In his different personalities, he comes to represent different things within the larger commentary. He is used to dictate the purpose and tone of the game at every turn – in some ways, he is the game. 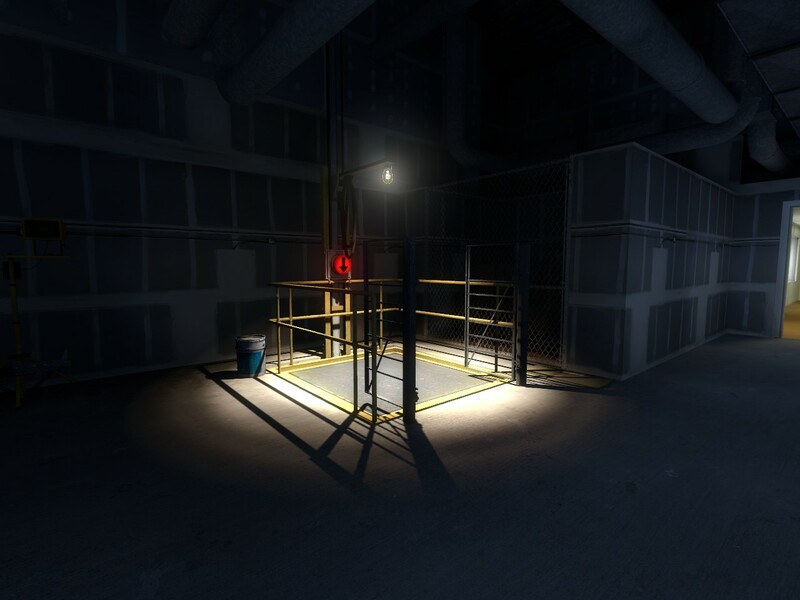 It’s a big risk to take to put so much weight on this one element, but luckily The Stanley Parable pulls it off with style. The narrator’s dialogue is, without fail, excellent, and it is elevated still further by one of the best vocal performances I’ve ever heard in a game. Every joke, every musing, every monologue is perfectly delivered, and you’ll find yourself seeking out new endings as much to hear what the narrator will say about them as to actually experience the endings themselves. The game isn’t long – I’d say it takes about 2 hours to find all the endings, maybe longer if you really dig for extra secrets. At a £10 price tag, some may be put off by this relatively small amount of content – but for me, the game feels complete. At no point does it feel short, or seem like it’s missing anything. Much as I would sometimes have liked it to go on forever, it achieves what it needs to achieve and doesn’t outstay its welcome. There’s no filler in that play-time either – right up to the very last ending I played, the game was still surprising and delighting me, even when I thought it couldn’t possibly have any more tricks up its sleeve. 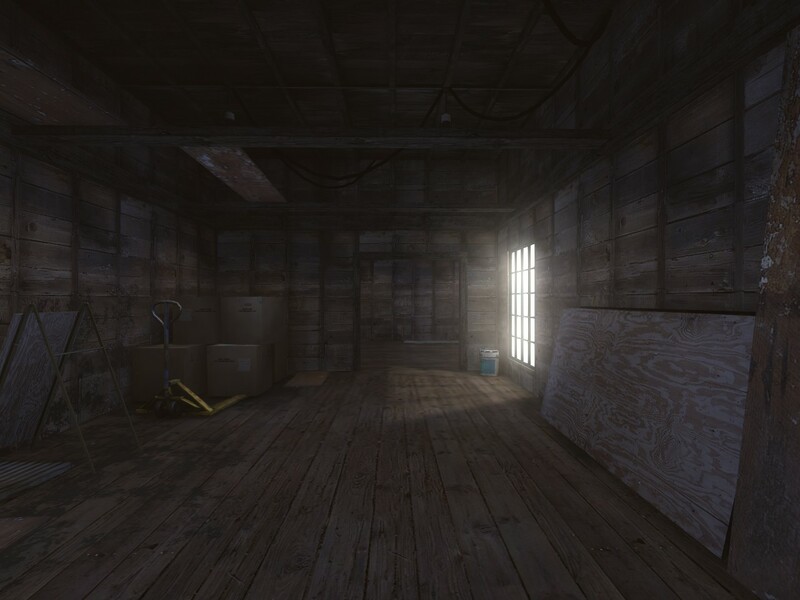 The Stanley Parable is a truly unique experience, and a shining example of how clever this medium can be. You need to see it for yourself. Trust me.